Honeymoons, anniversaries, engagements, make-ups — and that's just a typical afternoon for the average Italian love affair. When cupid is on the mind, check into our favorite hotels where la dolce vita meets la vita amorosa. What's to Love: Small, impossibly chic inn run by the same eccentric proprietress for years. The hotel is built into a hillside on Panarea, the most fashionable of the seven Aeolian islands, overlooking Stromboli. The islands are remote and beautiful and locals cling fiercely to their culture. Good to Know: On a clear night, you can see the volcanic flares from your room. What's to Love: A love nest in the hills between Sorrento and Positano. You'll be tempted to stay in your colorful room all day, but the Michelin-star restaurant is unmissable. Good to Know: Sign up for cooking classes while you're here, and learn to recreate the culinary magic, minus the sunshine, anytime. For added privacy, rent the private poet's house on the property. What's to Love: Stunning vistas and an infinity pool that seems to stretch to the sea. This place takes al fresco dining to a whole new level with tables overlooking the cliffs of Capri and Ischia in the distance. Good to Know: You can't stay in Capri without hiring a small boat to take you around the island to swim in the coves. 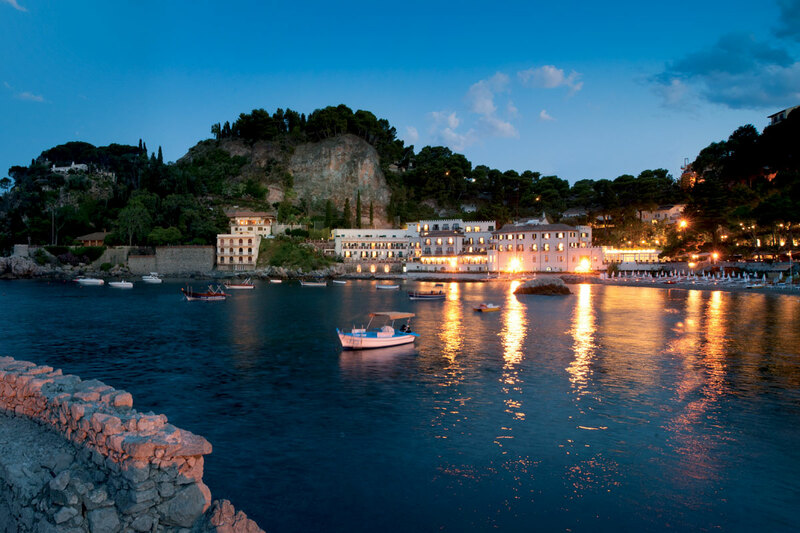 What's to Love: Set in a former palace that dates from the 11th century, the romantic Caruso in the heart of medieval Ravello is a beautiful escape from busy Amalif Coast towns like Positano and Amalfi, with enormous rooms covered in restored frescoes. Caruso is a step back in time: The lush gardens, the small but stellar spa, and al fresco dining are simply magical. Good to Know: The infinity pool overlooking the Amalfi Coast and surrounded by arbors of bougainvillea is one of the most beautiful in the world. It's the perfect place to perch for an afternoon meal of wood-fired pizzas and Prosecco. What's to Love: A cliffside hotel that may as well have been built for honeymooning. It's packed with couples who come for the breathtaking views, outdoor dining with live music, and a roof made from sprawling lemon trees. Good to Know: You're on the main drag of the Amalfi Coast but will feel removed from the crowds. Elevators connect the hotel to the private beach and pool. What's to Love: Fresh and affordable accommodations in pricey Capri. Signore Esposito, the owner, runs this sparkling gem with stunning sea views. Many rooms have grand terraces. Good to know: Have breakfast on the rooftop patio for spectacular views. For a modest fee, you can use the pool at the neighboring hotel, which is owned by Mr. Esposito's aunt. So Italian. What's to Love: Everybody adores this classic hotel. Is it the effect of drinking a bottle of rose while sitting in your bathrobe on a balcony overlooking the Mediterranean? The epic views from this hillside hotel? The breakfast on the terrace followed by a lazy day in a shaded pool cabana? Good to Know: If you're squeamish, don't drive. Get a driver, and schedule a stop in Pompeii. Take the boat to Capri and enjoy drinks in a cave on the beach. What's to Love: The former Palazzo Sasso is truly divine — like you died and went to Amalfi heaven. The best part is the service: truly impeccable. Discreet and exactly what you'd expect when you're spending a month's salary on four nights. Be careful with the room you reserve: Cheaper rooms aren't worth the savings. Good to Know: Breakfast on the terrace is lovely. Be sure to bring along a Hermès or Etro bikini so you fit in at the swimming pool. What's to Love: Giò Ponti designed the hotel and swimming pool. The garden is one of the most romantic and mature in all of Italy. Beach is sophisticated and quiet with great food. Good to Know: Bring a camera and meet the owner to visit the old palazzo. What's to Love: It's a fantasy place to relax. You'll love their amazing spa with their super treatments, the view from the outdoor warm water pool over the Garda Lake, and the restaurant's very efficient and friendly staff. What's to Love: Three still under-the-radar apartments in a restored historic building in the heart of the city feel like the home of a Roman royal than the usual luxury hotel. Rich tapestries and Florentine artwork merge seamlessly with the latest technologies like loaded iPads in every guest room. 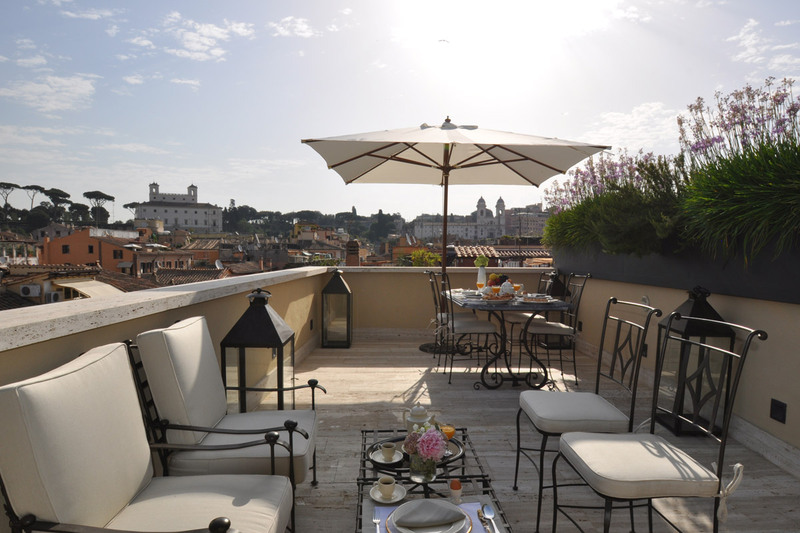 Good to Know: The suite Trinita dei Monti has sweeping terraces, a well-stocked library, and a rooftop soaking pool. The very recipe for romance. Photo courtesy of La Scelta di Goethe. What's to Love: Simple and charming with a wonderful view and the freshest fish. Good to know: Ocean facing rooms are more expensive, but that's what you're here for. What's to Love: The brilliant pink bougainvillea that blooms just off your terrace overlooking the Mediterranean. They don't tolerate diving or splashing at the pool, so you're guaranteed a peaceful time. Good to Know: Spend a day following the path on the nature reserve behind the hotel. You'll emerge in a nearby cove, have a refreshing aperitivo, the take a boat back. 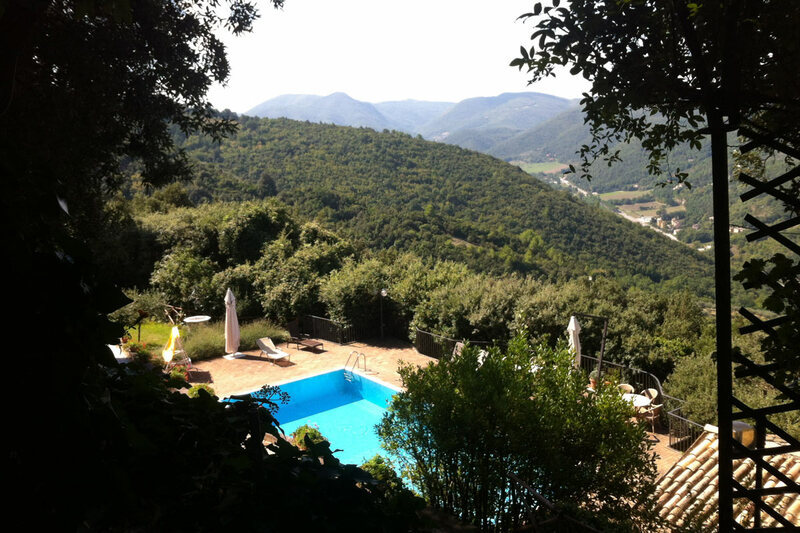 What's to Love: An agriturismo hideaway on a coastal mountaintop. You're in the middle of nowhere, staring at Elba and the fields around you. Good to know: It's modest — no WiFi, no spa, no frills. But you'll immediately realize how beautiful simplicity can be. Rates, by the way, start at 40 €. You could move in. What's to Love: A grand private home tucked into the middle of the countryside. You'll feel like you took a trip back in time. Good to Know: This is a clever, if unlikely, place to perch for excursions in the Abruzzo National Forest or en route from Northern to Southern Italy. What's to Love: A 19th century former has been transformed into a series of luxurious rooms and suites but still feels like an intimate home where every wish and detail is attended to. Linger over elaborate breakfasts of meat, cheeses, freshly baked breads, and delicious juices on the tropical terrace. The gardens afford secret spots to linger and watch spectacular sunsets before heading uphill to Taormina for cocktails at sister property Belmond Grand Hotel Timeo. Good to Know: Complimentary boat trips — complete with snorkeling guides — are a wonderful way to explore the coastline and the crystal-clear Ionian Sea. What's to Love: The verb asolare means to pass time in an agreeable and purposeless way. Combined with the mountain air and delightful surroundings, what more could you hope for from a romantic weekend? 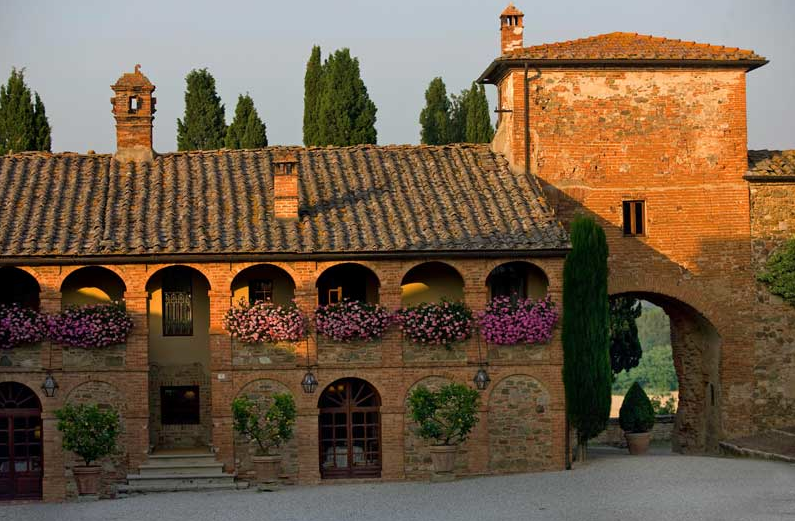 Despite being tucked away north of the Veneto, the views from Villa Cipriani rival that of any hill town in Tuscany. The breakfast on the terrace of room 102 is especially great, if you arrive in the dark the night before. What's to Love: On Piazza Santa Maria Novella and a few blocks from the Duomo. The façade may not look like much, but you'll find the best of old-meets-new world inside. Great DVD library, helpful staff, gorgeous rooms, and a selection of warm tarts, tea, fruit and orange juice in the lobby. Good to Know: You're a few steps from Garga, one of the best restaurants in Florence. What's to Love: You drive through the Tuscan countryside and finally make it to the top of a hilltop. Your destination: a modern farmhouse with stunning views, a pool, and hipster touches like a great library and music collection. This is isolation at its best. Good to know: The charming American owner, John Voigtmann, is a former music exec who runs this place like a country getaway for friends. What's to Love: The name translates as "the inn of the lovers" for good reason. The cypress-lined drive, the amazing restaurant, the countryside setting amid gently rolling hills. In the 1300s the space was largely stables. Today, it's your basic Tuscan fantasy come true. Good to Know: Bring a bathing suit for the pool. What's to Love: An adorable, inexpensive B&B in the Tuscan countryside with a kitchen garden to get lost in. Guests are free to pick anything they desire and each room comes with a stocked pantry. Good to know: Arrange a cooking class with the owner and cookbook author, Pamela Sheldon Johns, and have her plan your Tuscan food adventures. What's to Love: The location overlooking the Arno. The 15th-century building designed by Filippo Brunelleschi. The antique furniture, art, and fixtures. The authentic Italian grandness that isn't at all stuffy. Good to Know: The beds are pretty inspiring, too. 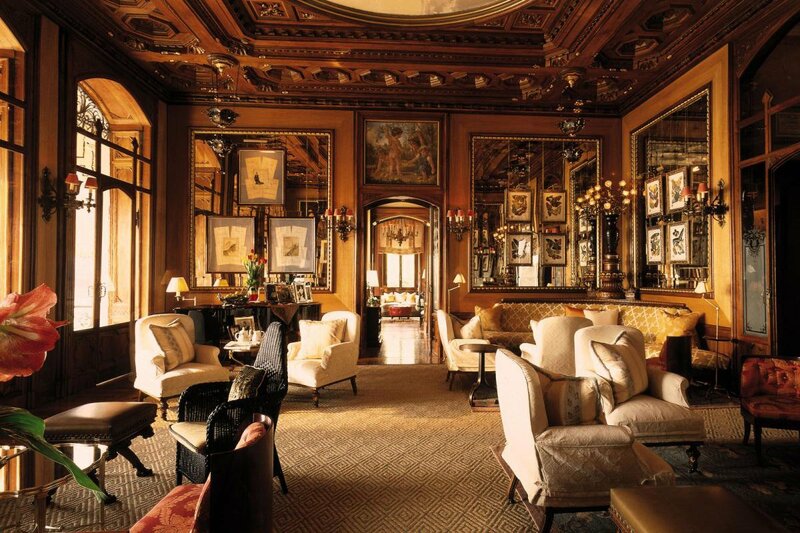 Read More on Fathom: Love Letter to the St. Regis Florence. What's to Love: Set high on a hillside overlooking the red roofs of Florence. Have a leisurely lunch at their Loggia restaurant and try not to faint while passing by the giant blue and lavender hydrangeas spilling out of the potted plants near the entry. Yes, they're real. Good to Know: You ge the far-away Tuscan feel with the benefit of being close to Florence's museums, restaurants, and shops. What's to Love: Yes, the Danieli is divine, but we prefer the more private — and ridiculously sumptuous — charms of this canal-front hotel that's at once in the middle of the Venice insanity yet totally removed from it. Good to Know: The rooftop bar has outstanding views. Make breakfast last for hours. What's to Love: Beautiful country house with cozy, tasteful rooms. A morning walk through the surrounding terraced vineyards is magical. Good to Know: There's a tiny ivy-covered Romanesque chapel on the grounds — should nuptial thoughts cross anyone's mind. What's to Love: Gorgeous lakeside villa lavishly restored in 1997. Modern and traditional at the same time. Beautiful antiques, Wi-Fi, and an unbelievable view. Good to Know: Heated marble floors to keep your feet toasty in the cool weather. What's to Love: In an monastery in the hills, crooked hallways are filled with furniture, framed maps, and drawings collected over the centuries. Ten frescoed monk cells have been converted into suites named after Italian friars. There's a library of old books, a parlor, and a walking path in the woods. Good to Know: You can rent out the entire place as a retreat or couple up and pretty much have the place to yourself. Umbrian specialties are served on a terrace overlooking the town of Spoleto below. Contributors: Caryl Chinn, Sonya de Castelbajac, Harold Dieterle, Christina DiLaura, Deirdre Dolan, David Feige, Julia Herr, Olga Katsnelson, Stephanie March, Lorenzo Merlo, Christina Ohly, Annie Ojile, Jill Paris, Nathalie Sann, Kerry Saretsky, Alyssa Shelasky, Sharon Thomas-Counce, Angela Tribelli, Brette Warshaw.